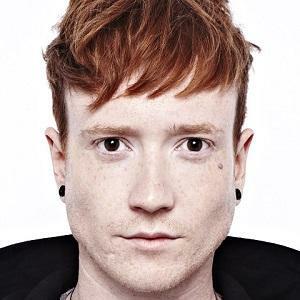 Lead vocalist of the alternative rock band Mallory Knox whose first two albums debuted inside the top 40 on the UK album charts. He was not an original member of the group. He helped complete the lineup that was started by lead guitarist Joe Savins and drummer Dave Rawling in August of 2009. The other members of Mallory Knox that he performs alongside are Sam Douglas and James Gillett. He is originally from Ely, Cambridgeshire, England, United Kingdom. He has a younger brother named Chris. His dog Beau has his own Instagram account. The name of the band originated from a character in the Oliver Stone-directed film Natural Born Killers.